Enjoy a long weekend sale from west elm. More you spend, more you save. Spend $100 or more and save 10% off your purchase. 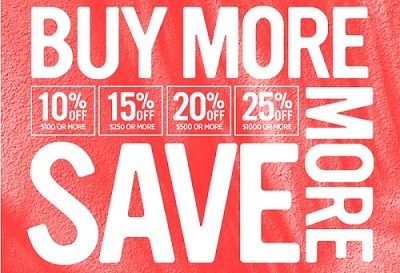 Spend $250 or more and save 15% off your purchase. Spend $500 or more and save 20% off your purchase. Spend $1000 or more and save 25% off your purchase. To receive the offer use promo code MEGASALE at checkout. Offer is valid online only. Source of the information is west elm. For more details about the offer visit west elm online.